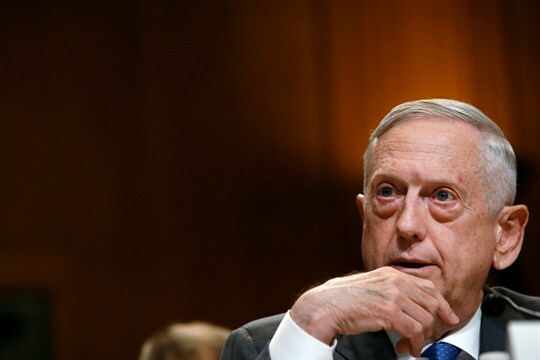 U.S. Defense Secretary Jim Mattis during a Senate hearing on the budget, Washington, May 9, 2018 (AP photo by Jacquelyn Martin). The United States obsesses about its global strategy more than any nation on earth. This fixation is reflected in the fact that Congress requires the executive branch to produce regular reports on its security strategy. A year ago, the Trump administration published its inaugural National Security Strategy. A few months later, the Pentagon released its National Defense Strategy to explain how U.S. military power would be used to implement the National Security Strategy. As it has in the past, Congress then created a bipartisan National Defense Strategy Commission to assess the Pentagon’s strategy. This included an august team of top policy experts and former officials from the Pentagon, the uniformed military, Congress, the intelligence community and the diplomatic corps.